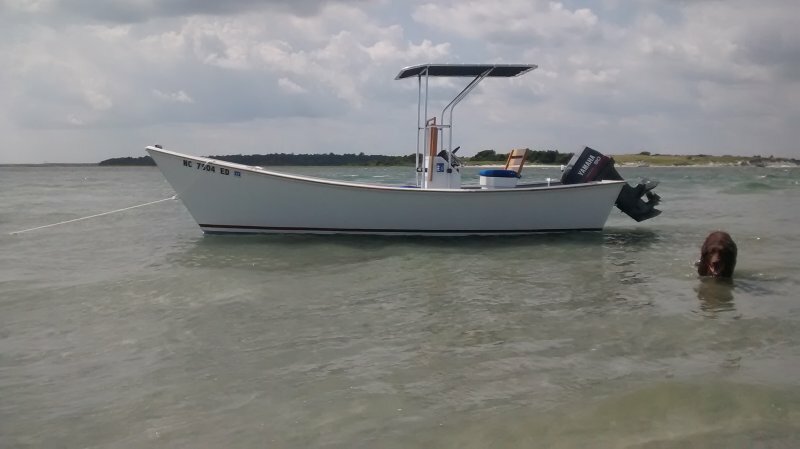 This boat was built to use in the sounds and inland waters of eastern North Carolina. Framing is douglas fir, with marine plywood planking for the hull. Two layers of 10oz fiberglass cloth were added to the hull for strength and durability. Powered by a Yahama 90hp two stroke.